Olive Dragonfly: Ultimate Bargain Fashion Find! If you remember my post complaining about shoes and how I can never wear the pretty ones for very long and they always seem to be super high heels but that I actually LOVE shoes and have too many, then you will understand how excited I was to find these beauties! I am loving leopard print right now and have a few choice spurts of leopard in my wardrobe. 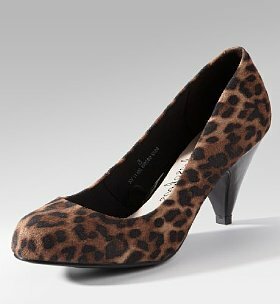 I have, however, never found a leopard print shoe that I love AND can wear comfortably. Until now!! Such a bargain! I love them. I have already bought my leopard print boots though! !